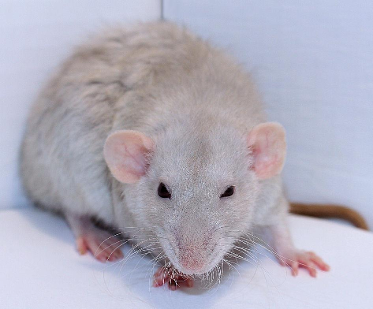 Description: This is the color of wild rats. Each hair has ticking, meaning 3 bands of color on each individual hair. The base of the hair is cream, the middle brown, and the tips black. Description: A deep rich black. Rusting is frowned upon, but usually happens as the rat matures. The eyes are black. 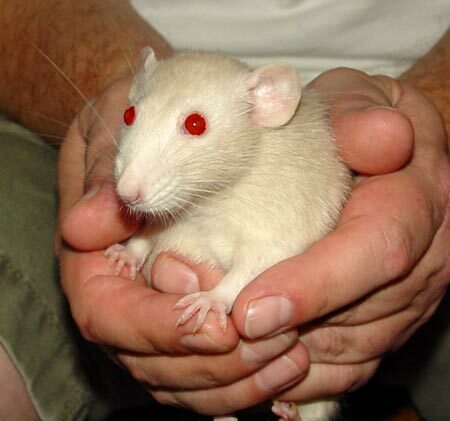 Description: This is the RED (red eye dilute) of Agouti. It has the same ticking as the Agoutis, but instead the bands are white, cream and orange. Eyes can look black or ruby, but they are always genetically ruby. Description: This is the RED (red eye dilute) of black. Color should be a light beige with a slight grey cast. Eyes should be Ruby. Description: This is the PED (pink eye dilute) of Agouti. 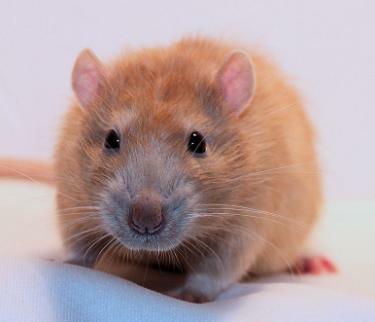 Color should be a pale orange, with the ticking of an agouti. The eyes should be pink. Description: This is the PED (pink eye dilute) of black. Color is a very pale cream color. The eyes should be pink. 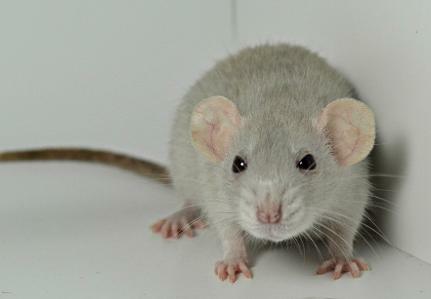 Description: This is the American Blue dilute of Agouti. 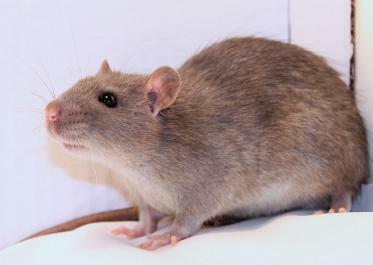 Again this rat has the banding of an agouti. The bands are cream, american blue, and brown. Description: The color comes in many shades, but should be a nice deep sky blue color. Rusting is frowned upon. The eyes are black. 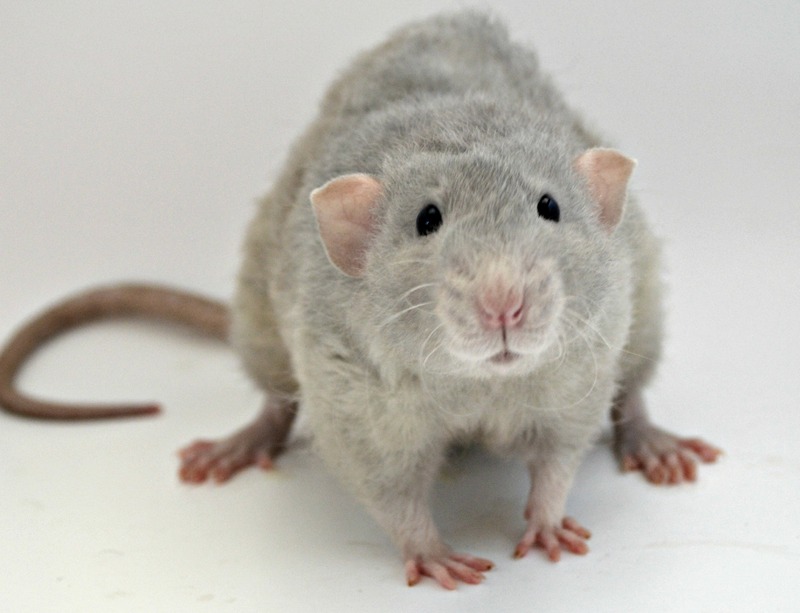 Description: This is the Russian Blue Dilute of Agouti. 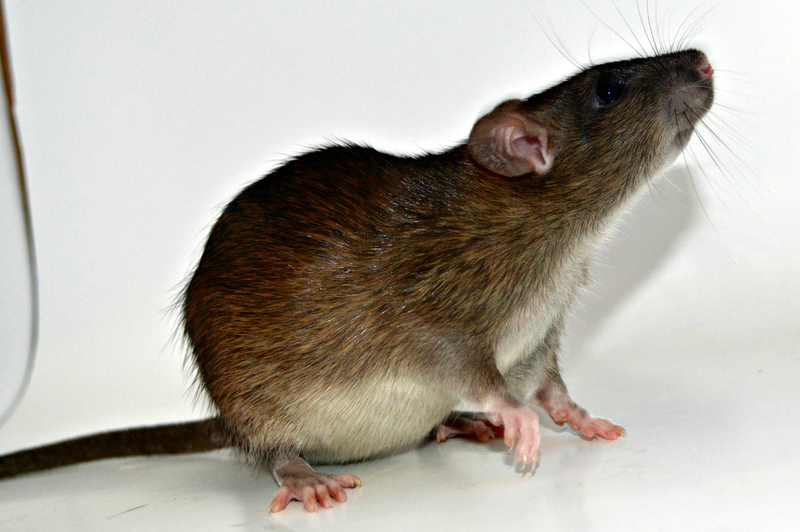 Similar to the American Blue Agouti. The fur is banded with cream, russian blue, and brown. The eyes are black. Description: This is the Mink dilute of Agouti. The hair is banded like the agouti rats. Color bands are cream, mink, reddish brown. This color can range from a deep ginger to a lighter brown. Description: A warm brown. This color often has a grey cast to it, but it should be a warm rich brown. Description: A light beige with an icy hue. Has the ticking of an agouti rat. The eyes should be pink. Description: This is the RED (Red Eye Dilute) of American Blue. It is a very light beige. The eyes should be pink. 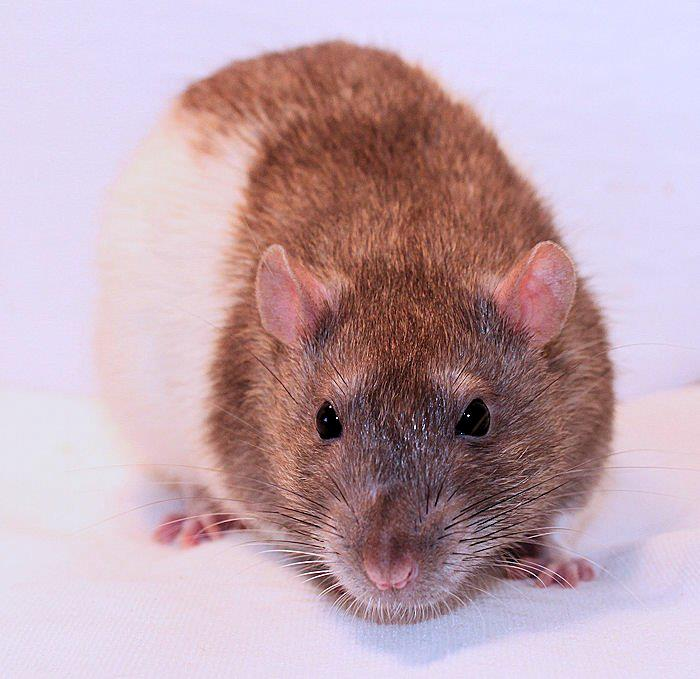 Description: This is a rat that displays both american blue and mink on an agouti back ground. 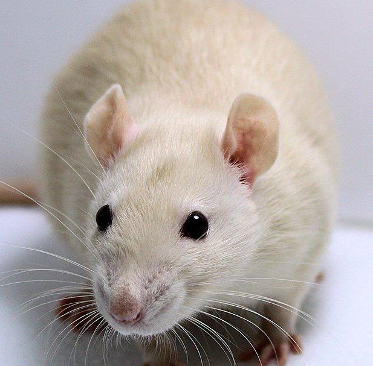 A pale silver with the ticking of an agouti rat. The eyes should be ruby. 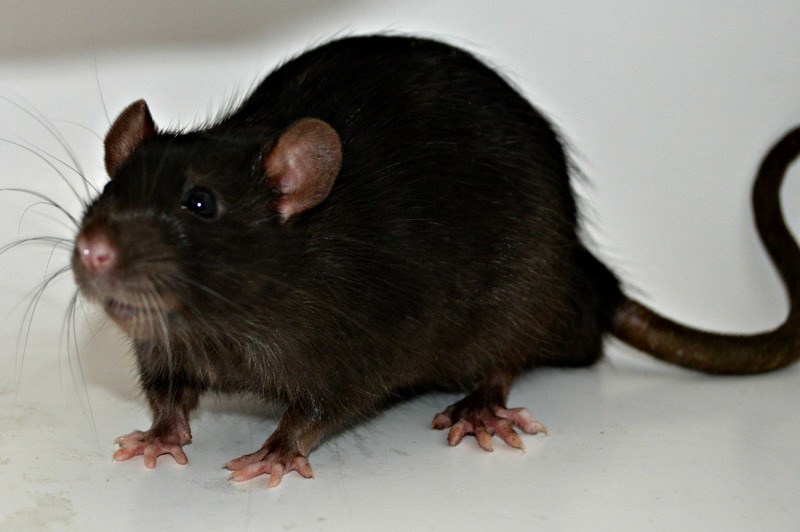 Description: This is a rat that displays both american blue and mink on a black background. An pale blue with a slight yellow cast. The eyes should be ruby. 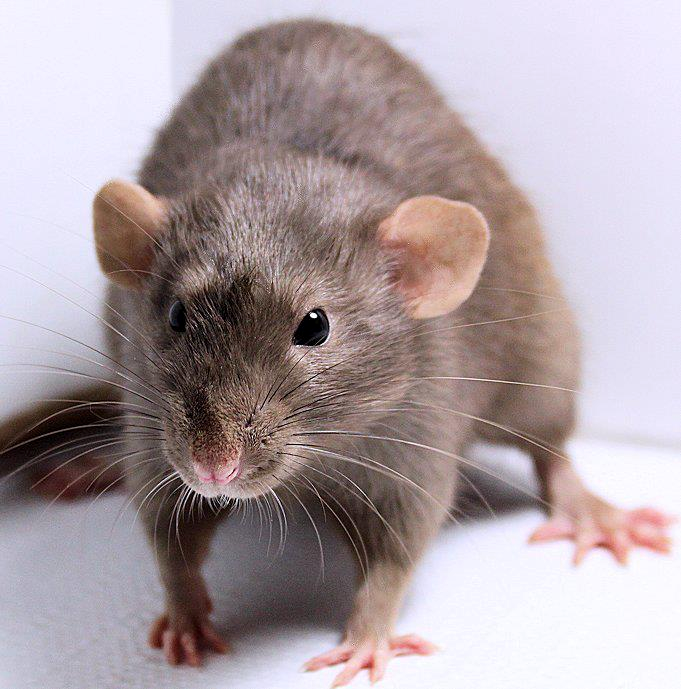 Description: This is a rat that displays both Russian Blue and American blue on an agouti background. Has the banding of an agouti rat. The bands should be Russian Silver, cream and a light orange. Eyes should be black. 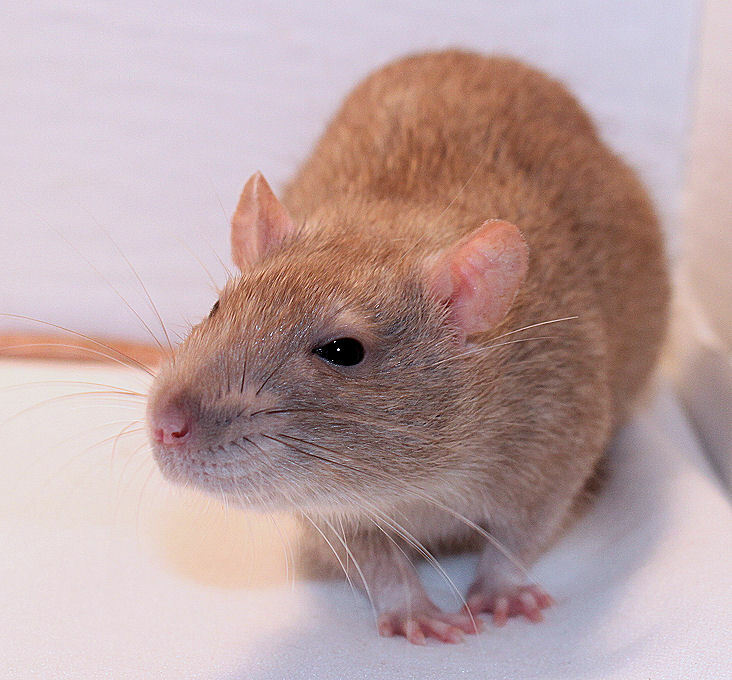 Description: This is the RED of russian blue agouti. Should be similar to a fawn with a blue undercoat. Eyes should be ruby. Description: This is the RED of russian blue. An icy beige color. Eyes should be ruby. 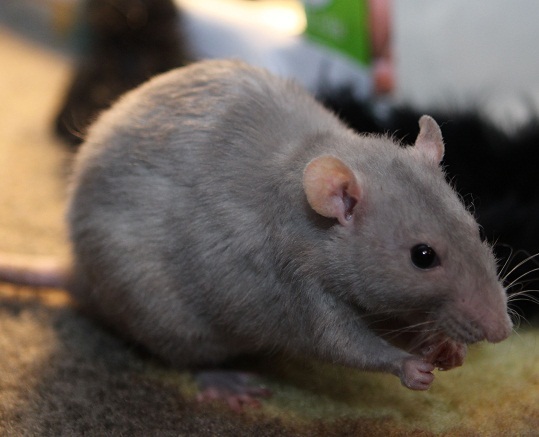 Description: This rat displays both Russian Blue and Mink. The color should be a slate blue with a brown cast. Eyes should be black. Description: This is a Cinnamon carrying RED. Color should be similar to fawn, with the orange a bit muted. Eyes should be ruby. Description: This is a mink carrying RED. Color should be a light warm brown. Eyes should be ruby. 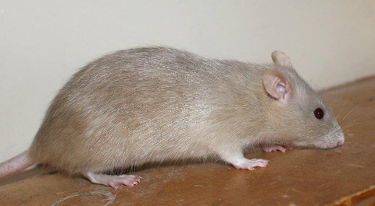 Description: This is a gene that only effects mink based rats. 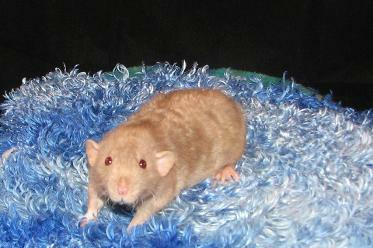 Color should be a very light orange with agouti ticking. Eyes should be black. Description: This is a gene that only effects mink rats. Color should be a very pale creamy silver with mink tips on each fur. Can range from light phase to dark phase. 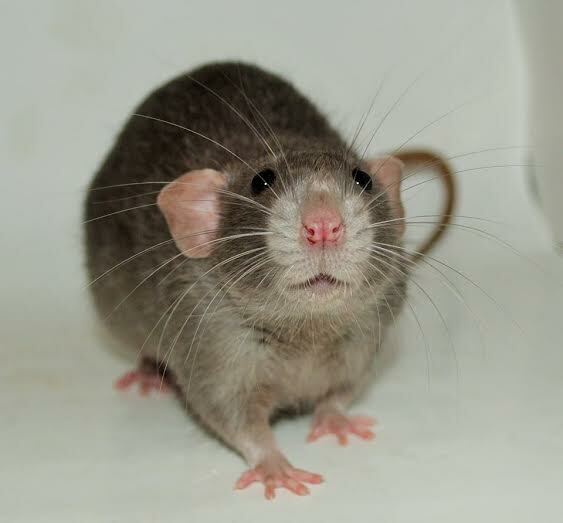 Description: This is a rat that displays both chocolate and mink. Color should be a brown with a slight pink/purple cast. Eyes should be black. Description: A deep dark brown. It can look like a poor black as an adult. Eyes should be black.